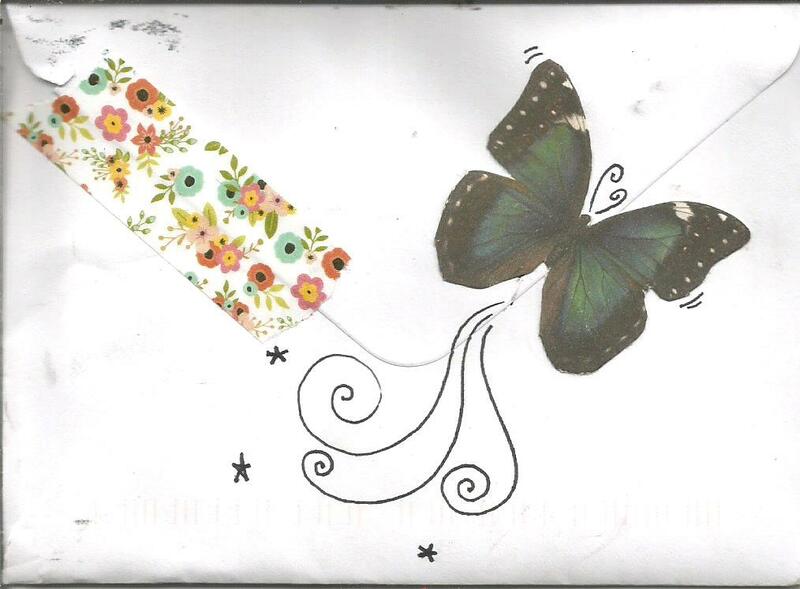 Over several years, Gin has become a wonderful correspondent via snail mail and online. Her respites from the Eternal Network are lamented by all. Her returns are triumphant. I am so pleased to have received this lovely piece from her, as she appears to be working overtime connecting and re-connecting. Gin’s art is authentic and sincere. I always marvel at the positive reception she receives. In this piece, I am particularly impressed with the poetry. At the risk of being vague I would offer the observation: Just when you think you have Gin figured out (artistically) she opens some door you never imagined was there that leads to some breathtaking and previously unknown depth. A quick glance might lead one to consider Gin the maker of very fine greeting cards. (Nothing wrong with that.) But all I can say is: Look closely. These are not greeting cards. They might not fit into conventional categories such as DaDa, Surrealism or Deconstruction. Maybe “Outsider” is the most applicable term. But they take you to a place where no greeting card would dare to take you and they explore emotional states and contrived sentiments. Gin is a Romantic in the sense that I believe her work is all about feeling, and things work best when you just follow where her art takes you. What I find at the core of it is a great and generous love. I’ve tried to maneuver myself to the topic of Victorian DaDa. 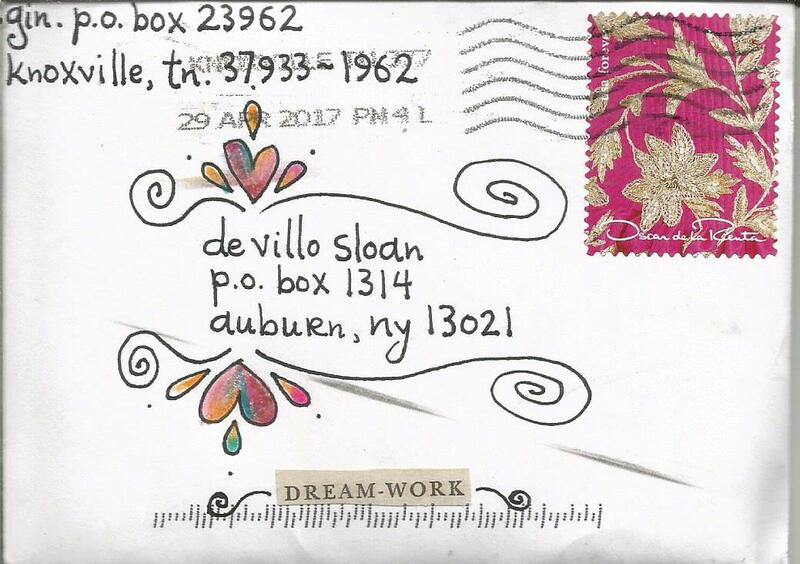 Gin has created a mail art movement that has some legs. (I am flattered to say she based her idea on a random comment I made.) I do not want to associate Gin forever with Victorian DaDa. I doubt she wants that. I do not believe this piece she sent is Victorian DaDa, so I playfully used Post-Victorian DaDa in the title. I am deeply moved by this wonderful piece, and it’s great to see Gin in the mail again!